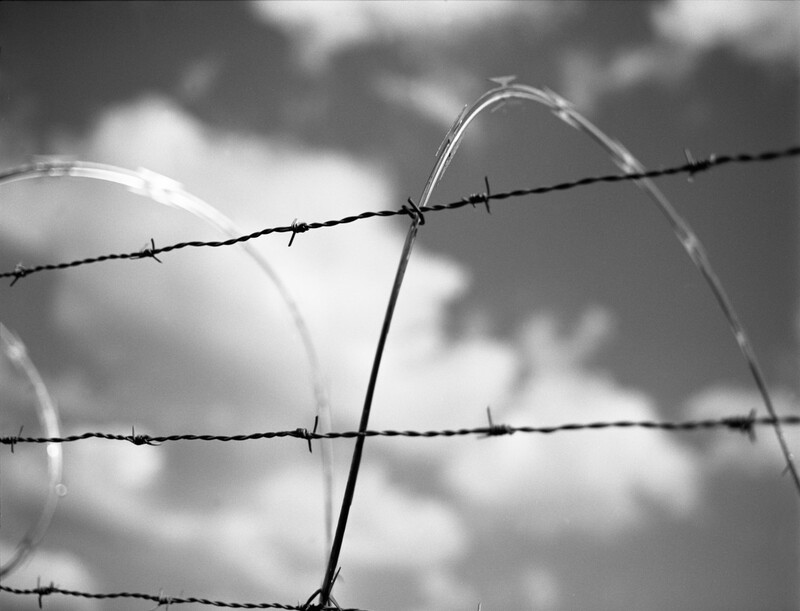 Near some railroad tracks, I saw this pristine barbed wire. I thought, “Hey, that looks like a cool shot,” then snapped it and moved on. After developing and scanning it, the contrast of sharp edges against blurred sky helped me realize what a wonderful shot I had gotten. “This is a statement about being guarded. How guarding yourself can keep you from freedom and beauty,” I thought. Then I saw either Abraham Lincoln or an old lady knitting in the clouds. Hmmm… You do see what you want to see, I guess. The film is Ilford PanF+ 50ISO. Shot with a Mamiya 645AFd and 55mm lens.